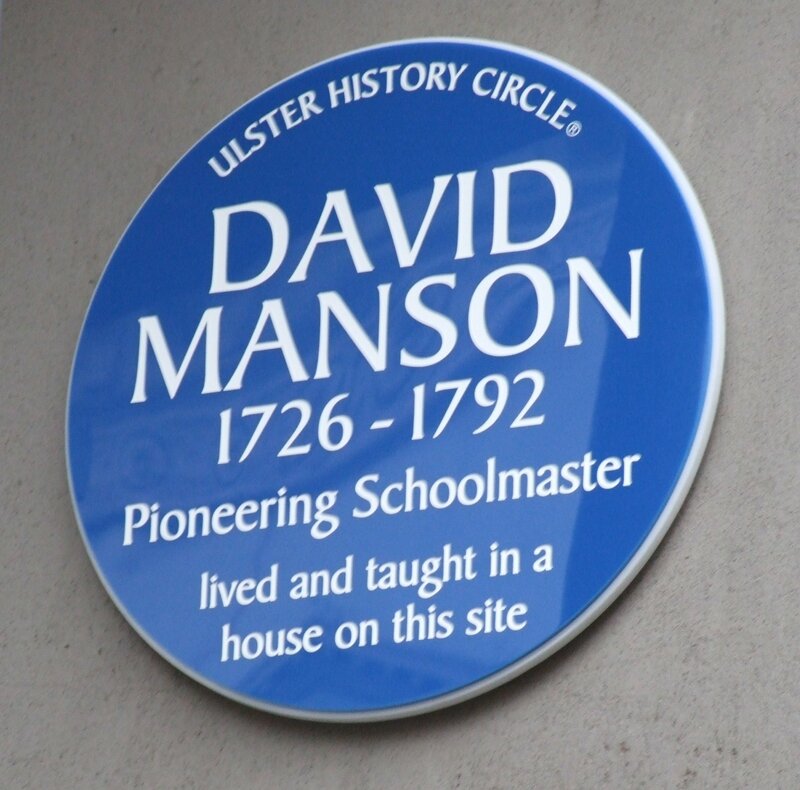 David Manson was born in 1726 at Cairncastle, Co. Antrim, son of John Manson and Agnes Jamison. At the age of eight he contracted rheumatic fever which affected him for the rest of his life. Because of this he received no formal schooling, learning from his mother ‘by amusement’. 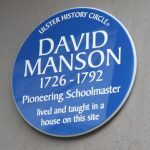 Manson became a teacher of English at the school of Mr Robert White in Larne where he improved himself in writing, arithmetic and the rudiments of the Latin language. 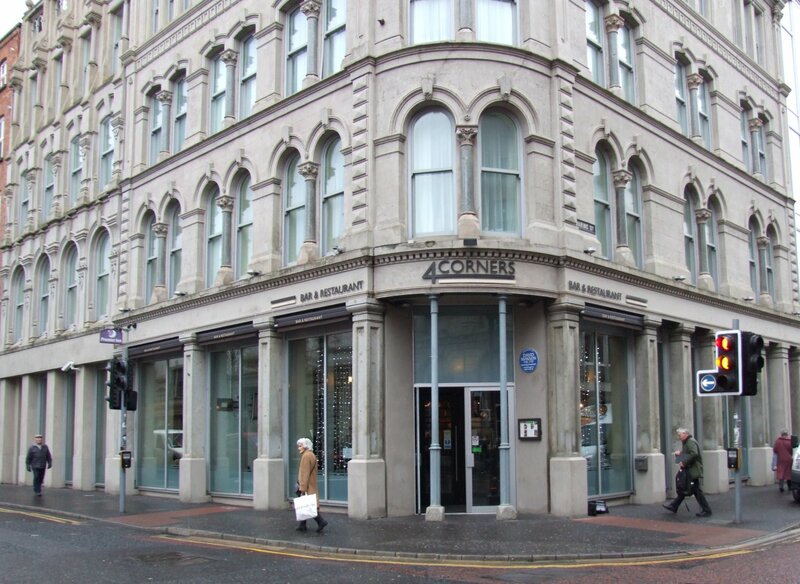 He moved to Belfast in 1752 where in 1755 he started an evening school at his house in Clugston’s Entry. He advertised in the Belfast News Letter stating that he ‘teacheth by way of amusement English Grammar, Reading and Spelling at moderate expense’. He also started a night school, offering free tuition to any schoolmaster who would attend. 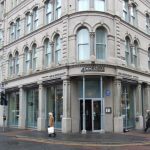 He was so successful that in 1760 he moved to larger premises in High Street and eight years later to still larger ones in Donegall Street. His pupils included the children of such prominent Belfast families as the Joys and the McCrackens. 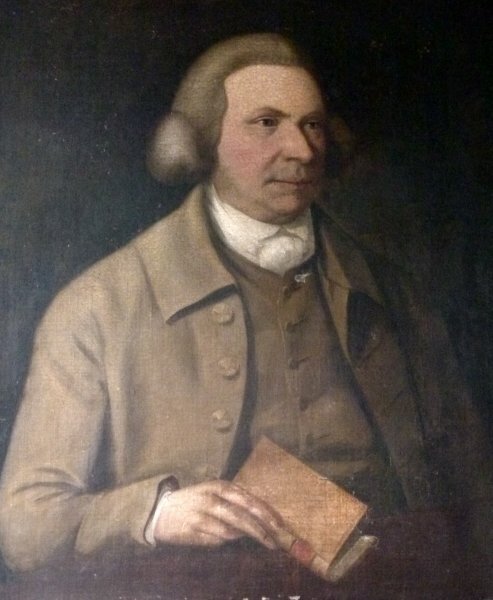 In 1779 he received the freedom of the borough. Manson was extremely innovative in the way in which he viewed education. His educational methods were based on encouraging success rather than punishing failure. There was a hierarchy of success, with Rules for the Morning School and Rules for the Day School. These rewarded success by the award of tickets and medals for good work while those who refused to work were banished to the Trifling Club. The school was a centre of learning that represented a critical approach to traditional forms of education. Choice instead of coercion; encouragement rather than ridicule; achievement and recognition for all learners were the hallmarks of his method. Enjoyment in teaching and in learning was not just an aspiration but a reality. Play was not seen as mere diversion or leisure but as purposeful, enjoyable work imbued with creativity and success. 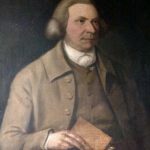 Manson was the author of a number of publications including a spelling book, a book on grammar and a dictionary, all designed with the teaching of English in mind. When he died on 2 March 1792 Manson was accorded the final honour of a torchlight funeral attended by all classes of society. His generosity in offering free instruction to his fellow teachers ensured the diffusion of his methods, traces of which could be found in the hedge schools at the beginning of the nineteenth century.